Hanging up an indoor garden is great idea for a number of reasons, the biggest being that it keeps your plants off the ground. When your plants are on the ground you’re more likely to forget them. When they’re up at eye level you won’t miss them and you’ll notice sooner if they’re in need of attention. 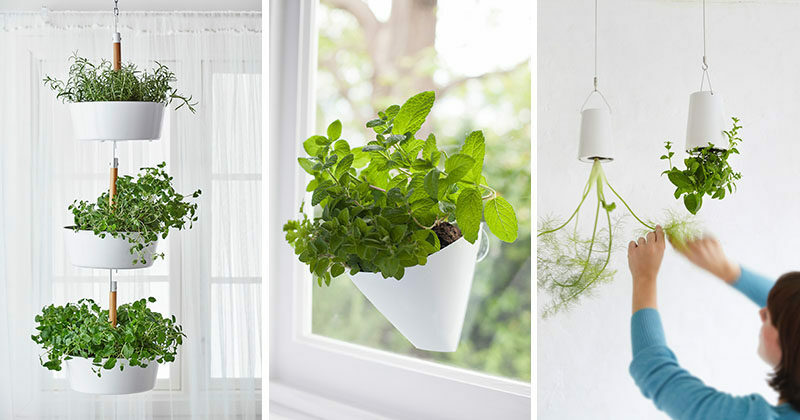 Hanging your indoor garden is also good if you have pets, children, or if you’re short on floor space. 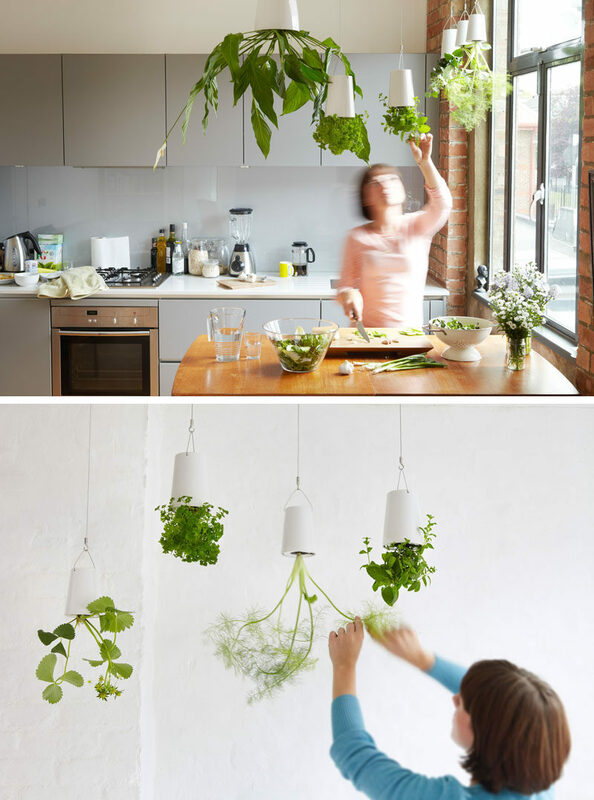 Here’s a list of the different ways you can create a hanging indoor garden. 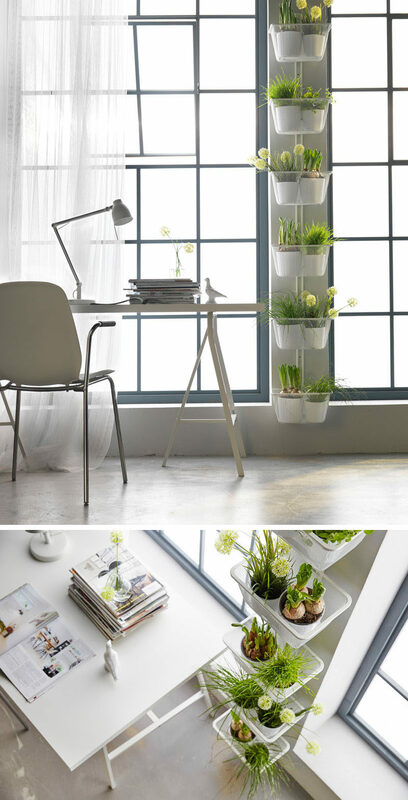 These indoor window planters are the perfect size for mini herbs, and ensure that the plants get the light they need. Also, if you keep them in the kitchen, you’ll always have fresh herbs right within reach! 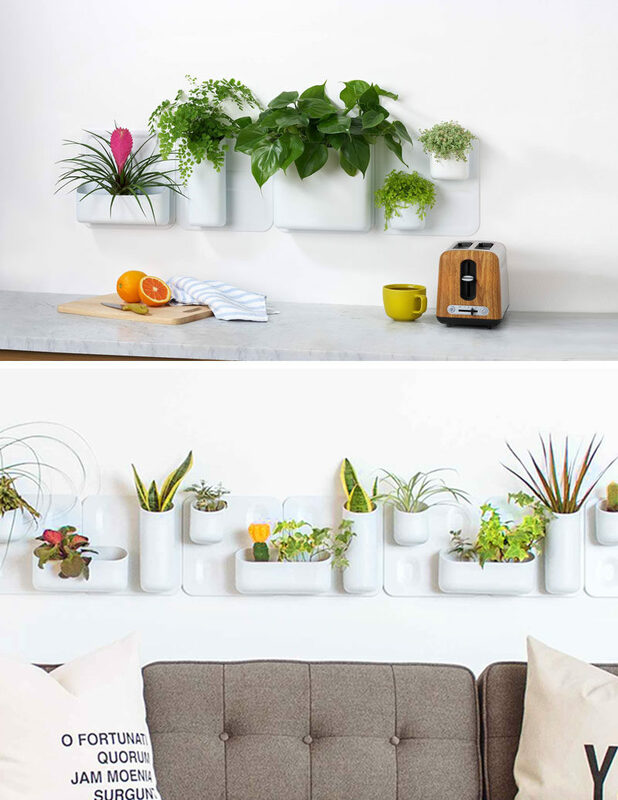 This wall planter gives you a place to store your plants as well as other hanging objects, freeing up your floor for more important things, like chairs and tables. 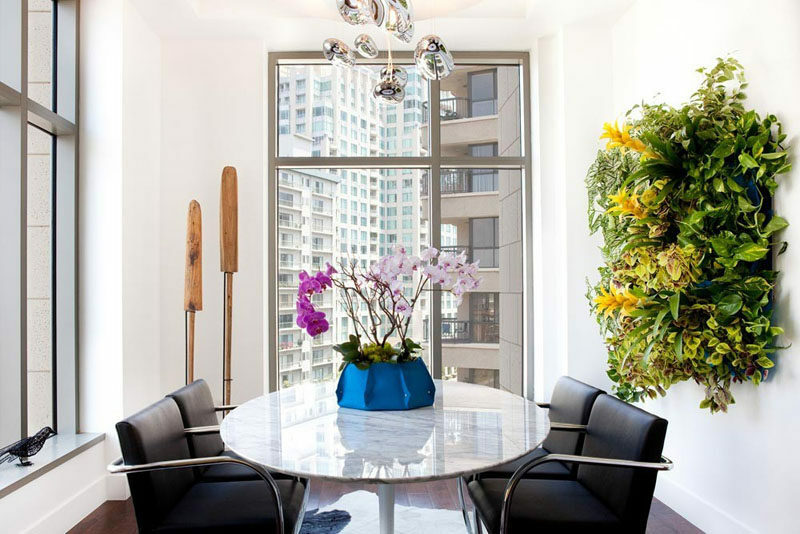 A big beautiful installation of plants and flowers on your wall not only gives you a beautiful indoor garden it acts as wall art as well. Art can be expensive and will always look the same. A planter mounted to the wall, however, can be changed whenever you feel like it and will bring life into your home. 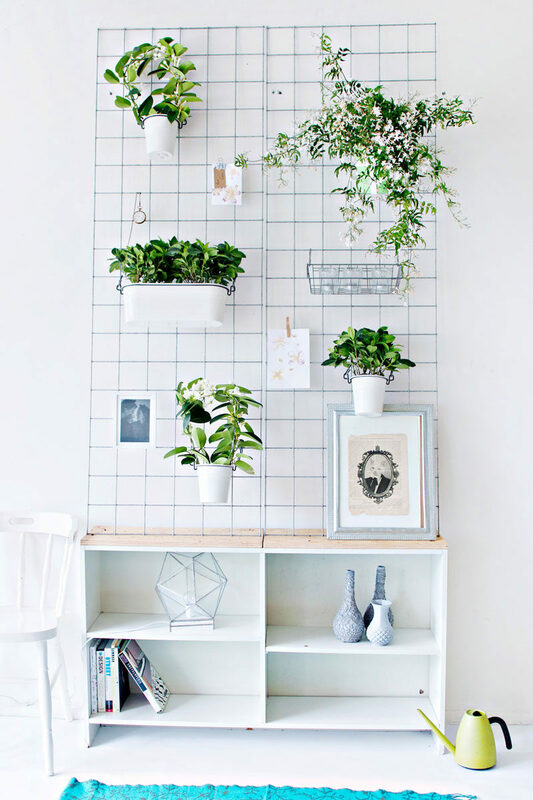 Attaching a vertical hanger to your wall provides the perfect spot for plants. Mixing herbs, flowers, and grasses adds texture and color to your space and makes it smell great all the time. 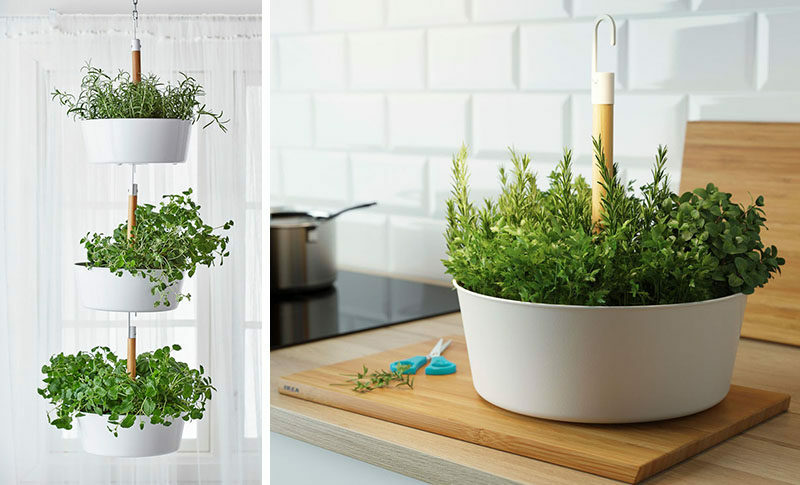 These planters hang from the ceiling and from each other making it easy to take down a single planter at a time to harvest your herbs and makes watering that much more convenient. Make a statement and shock your guests with upside down hanging planters. Technology keeps the soil and water in while allowing your plants to thrive. 7. Attach them to the wall with magnets. Configure your garden in any way you like using these planters that stick to the wall using magnetic plates. They allow you to move things whenever you want, making it great for when your plants outgrow the configuration they start in. 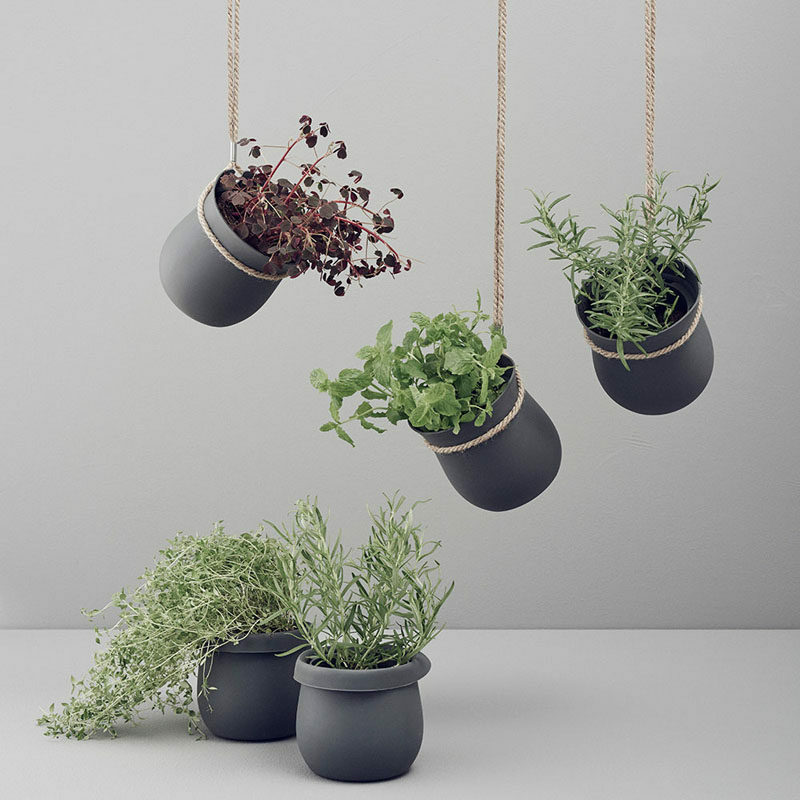 Customize your own modern set of hanging planters, perfect for the corner of any space. 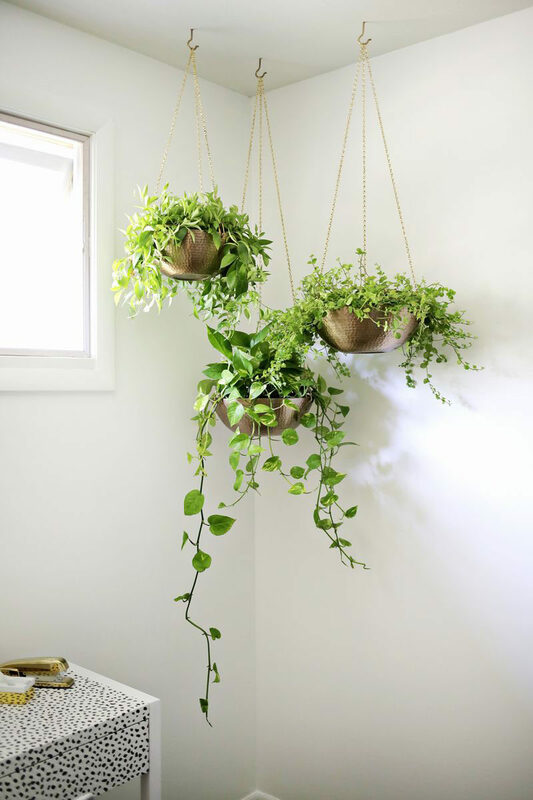 Easy Hanging Planter DIY from A Beautiful Mess. Matte black hangers wrapped in twine make a fabulous statement in your space and give your plants a stylish place to hang out. But not just any bag! 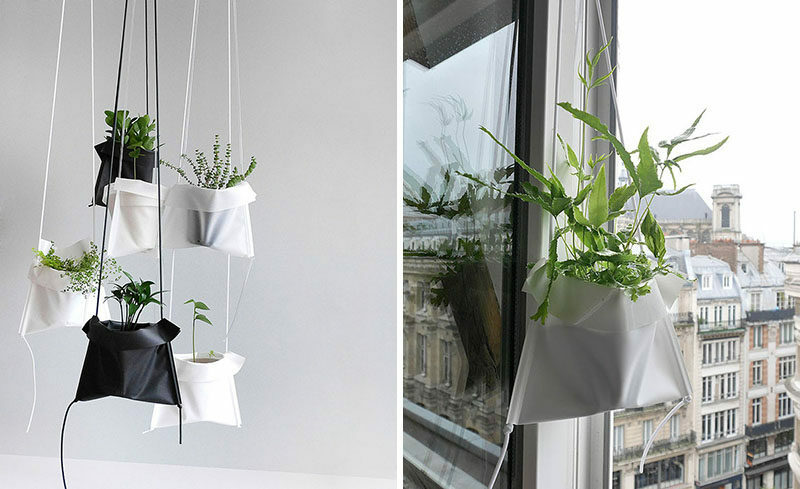 These Pot Cradles are designed to allow you to hang your plants anywhere. They’re lightweight, adjustable, and can be hung on pretty much anything.